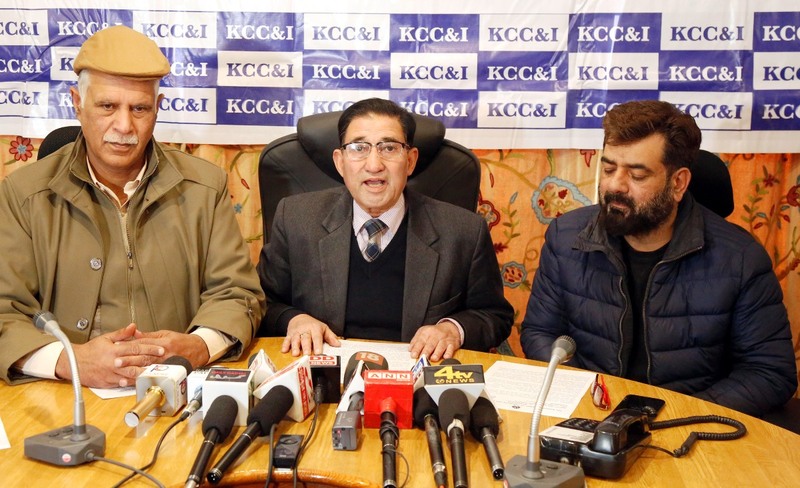 Kashmir Chamber of Commerce & Industries on Thursday appealed the government to provide peaceful atmosphere to the trade community here to run their businesses peacefully. The KCC&I also expressed their concern on the prevailing conditions, human rights violation, innocent killings and pellet injuries which is of utmost concern to them. “Even 18-month-old child has not been spared from loss of eyesight,” they said in a statement. “The business community has been under great stress on account of repeated turbulence in Kashmir. We are not getting favourable atmosphere for conducting business on account of these impediments and our all sectors are badly affected,” KCC&I said. “We need peaceful environment to continue our activities. We express our concern for yesterday’s arrest of traders despite conducting peaceful protests in a democratic way,” they said, adding that KCC&I has decided to hold a peaceful march from Chamber office to press Enclave at 2.00 pm on Saturday (December 08) to express their concerns. “All affiliated associations, members of the business community and persons connected to trade, commerce and industry are requested to participate,” said KCC&I in a statement.